Watch this! The #StandUpForScience rally brought hundreds of scientists out of the labs and into the streets. And it's sure getting A LOT of attention! Now's the time to stand up, fight back. Share the video and take the pledge: climatetruth.org/standupThe rally was organized by scientists, with ClimateTruth.org Action and The Natural History Museum.And our amazing partners: Greenpeace USA, Amazon Watch, Sierra Club, Oil Change International, Center for Biological Diversity, Idle No More Bay Area California, Alliance for Climate Education, Communities for a Better Environment. 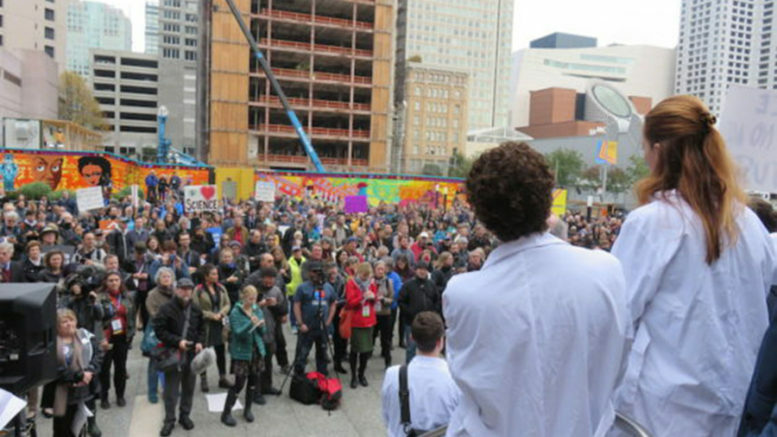 Be the first to comment on "Video: Scientists take to the streets in the US"